So I have used these products for quite some time now.. and i love them!.. Don't know what I'm talking about? I am talking about the Sally Hansen Kwik Off Nail Polish Remove as well as Up & Up Nail Polish Remove Dip It. These products really save me a bunch of cotton balls and polish remover! I saw this product when i was at target going to grab for another one of their up & up nail polish remover bottles.. I honestly thought that it was just a bunch of liquid inside i did not expect a sponge or anything else inside. I love that it is so easy to use.. and it is really cheap so you can repurchase it when needed.. or just refill the tub with your favorite nail polish remover! So How do i use it? I put my nail through the slits in the sponge, let it soak for a bit then just rotate my finger in a spinning motion as well as sliding it in and out of the holes. 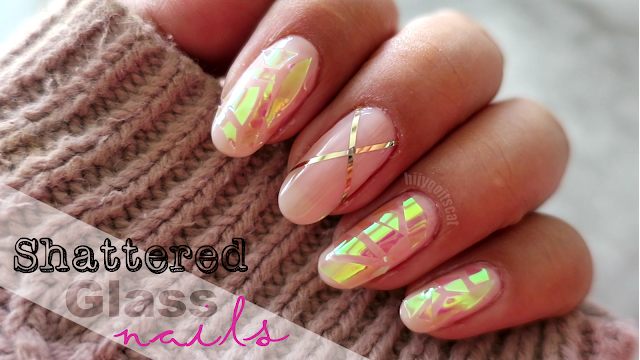 Since it has 3 slits you can do 3 of your nails at the same time! The liquid does get dirty since i always use it over and over.. but it does not affect the outcome of removing your current polish on your tips. Once i feel like the remover is getting too dirty or i run out i just refill the tub with similar nail polish remover. I usually use this one to remove my nail polish if it has a really thin coat or after i use my 100% acetone polish remover, just to hydrate and moisturize my nails a bit. Con: The only problem for me with this product is cleaning the sponge. I'm not sure if you're suppose to clean the sponge or just replace it.. I am sure you can just replace it.. but i just wash it with water and soap then squeeze it till all of the water is out.. it will look like a scrunched up ball and stay like that.. but once you put it back into the tub of remover.. the sponge will expand to its normal shape. Next is targets Up & up brand. I bought this the same time i bought the Kwik off.. I figured it would be very similar and since they were two different types of removers i got 1 of each. I have to say i like this one a lot more! I feel like it really does its job. The tub is heavier than the kwik off.. but that is because of the plastic like bristles and packaging inside of the tube. I would definitely recommend this if you like to use a lot of glitters.. or put on thick coats of nail polish... The bristles really help take off the nail polish. Unlike the sponge in the kwik off all you have to do is rinse this with soap, let it dry.. then refill it with your favorite nail polish remover. So How do i use it? The same way i did with the kwik off.. except you can only do 1 nail at a time...You just rub your nails against the bristles and it should remove your polish. I like to dip my finger in and turn the tub with my other hand.. it works best that way for me personally. The liquid does get really dirty.. especially because i use this one a lot more.. but like i said previously that does not affect the product in anyway to do its job. Con:The only reason i say it is harsh is because it is or close to 100% acetone with no vitamins or aloe vera in it.. so it can be harsh to some nails.. but thats how i like it!.. the do not think the bristles affect my nails in anyway way as well, just incase you were wondering..
Have you tried these? do you like them? what are your thoughts? If you have not tried these products what are you waiting for !! GO and grab yourself one or BOTH ! lol..
aww you are too sweet !! I love fashion blogs !!! i am going to check out your blog and follow =) i hope you do the same ! Thanks for posting this! I went out and bought the Sally Hansen one and it works great. Much better than using cotton balls and nail polish remover to try to get it off. ooh yay ! it is so cheap isnt it! lol.. there might be a better way of cleaning the sponge beside with water... i have been trying to find a better way.. once i do ill let you know ! PS: I sent you the invite to pinterest. It should email you and you can set up login/password.